In some ways, the need to stick to a tight budget is beneficial if you have a small living room. The less space you have to fill, the better; the money you have can go further and be invested in quality. However, you face the issue of struggling for furniture options that will suit a small space. Many standard living room items are large, bulky, and built for rooms far larger than what you have. This can tempt you to trying to fit too much into your space, which in turn will damage the entire design aesthetic that you’ve been hoping to achieve. Display cabinets and bookshelves are fantastic pieces of furniture. They can help give a room height and bring a room together, as well as offering the practical benefits of a large amount of storage. If you’re on a budget, then you need to invest in the items that will be used the most. For the living room, that means you’re going to want to invest in your sofa. As your sofa receives the most wear and tear, it’s the one item that needs to last. Spending more upfront on frequently-used items will save you money in the long run, as you won’t have to incur the cost of replacements on a regular basis. Storage is an issue throughout the house, but particularly in the living room. As the busiest room in the house, you want to be able to access a number of different items without having to move into another room-- but as mentioned above, bookshelves and display cabinets can be a drain on your available space. If you follow the tips above, you can continue to have an aesthetically-pleasing room despite the issues that you are having to juggle. 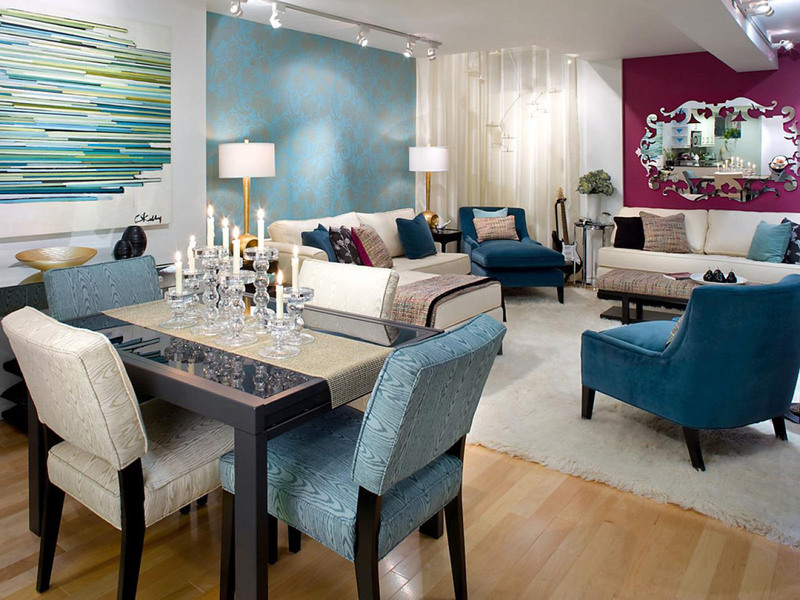 We at Furniture In Fashion have a range of options available to meet your needs, whatever your budget or room dimensions, so keep these tips in mind while shopping and you won’t go far wrong.